Tang comes in refreshing Lemon flavor.Keep everyone refreshed this summer with Tang and its great fruit taste with the goodness of vitamins A, B, C and Iron. Sugar, acidity regulator(330), lemon fruit powder(0.6%*), minerals(tricalcium phosphate, ferrous citrate), Stabiliser (415), vitamins, food colours, (171), salt. Tang is a fruitflavored drink. The Tang brand is owned by Mondelez International. 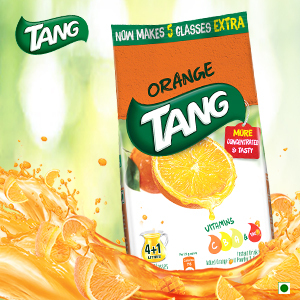 With its great fruits taste and added goodness of vitamins- Tang adds magic to water. The fresh juicy taste and ice-cold refreshment of zesty Tang flavors all in one glass. 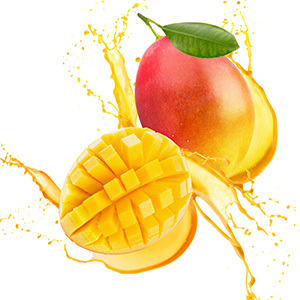 Enjoy your summers by drinking delicious Tang flavors which is more concentrated and tasty now. 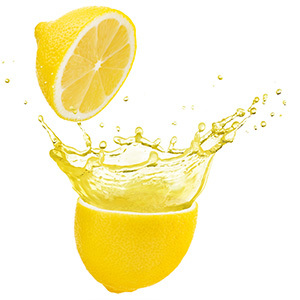 Keep everyone refreshed with zesty Orange, delicious Mango and refreshing Lemon. Experience the novelty of summer with the refreshing flavors of Tang. Splash some Tang in to your life for refreshment! Enjoy your day by drinking a glass full of Tang. Have a glass of Orange, Lemon and Mango Tang to compliment your breakfast- gives you 60% of vitamin C requirement for the day. The new Orange Tang enter the spirit of summer with its zesty flavor to refresh and revitalize you. It also gives mothers an opportunity to make a quick, refreshing drink for their kids by just adding water (no sugar needed). With its yummy taste & Vitamin A, B & C and Iron, it is the perfect way to beat the heat and refresh your kids this summer. Rejuvenate your day by drinking a glass full of fresh and energetic drink- which gives you 60% of your Vitamin C requirement of the say. Enjoy the new flavor of fresh and juicy Orange Tang with your friends and family to beat the heat this summer now makes 5 glasses extra! Make your summer afternoons cooler with a glass of Lemon Tang. Keep everyone refreshed this summer with Tang and its great Lemon taste with the goodness of Vitamins C. A glass (approximately 180ml) of Tang gives your child 60% of Vitamin C needed for the entire day. Enjoy the tasty and refreshing Lemon Tang with your friends and family to beat the scorching heat this summer now makes 5 glasses extra! Why cut a Mango when you can pour and sip it? Keep everyone refreshed this summer with Tang and its great taste with the goodness of Vitamins A, B, C and Iron. A glass (approximately 180ml) of Tang gives your child 60% of Vitamin C needed for the entire day. Enjoy the delicious Mango Tang with its rich taste with your friends and family to beat the scorching heat this summer now makes 5 glasses extra! Tang, which is a billion-dollar brand has traveled to the moon and back with the astronauts in the 1960s during the NASA manned space-flight program. 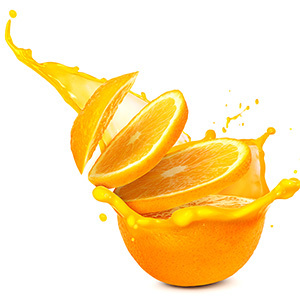 Tang does not need sugar to be added while preparing, the fine grade of sugar used in Tang ensures that it is readily soluble and easy to mix.